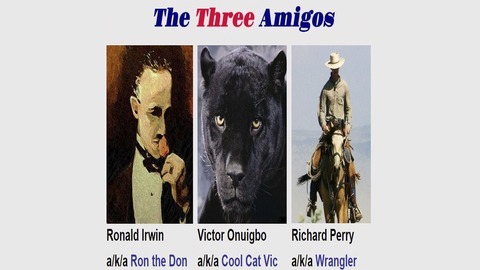 “The Three Amigos” is a fresh new sound and feel hosted by three incredibly unique, gifted and talented guys who came together and began street talking. 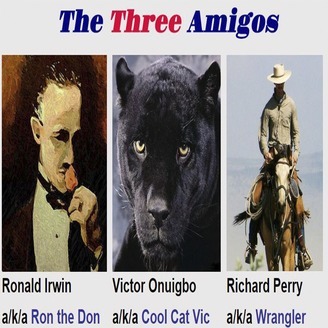 Ronald Irwin is a veteran of 30 years of talk radio and TV, while Richard Perry is an award winning writer and Victor Onuigbo is an emerging TV and film actor who began his life in Africa. Together they discovered a rare chemistry that can and does bring forth a wide variety of information wrapped in inescapable humor. The show will focus on current events, celebrity guests and even some awesome money making tips and all of it with a smile.